Congratulations, and welcome to Warwick! You're in for the time of your life - take a look at our Checklist and Events Lineup, then explore more of warwicksu.com. Look out for your Welcome Guide coming in the post very soon, and don't forget to download the MyWarwick app for a full list of everything that's going on! So - what do I do now ? What’s happening over Welcome Week ? So - what do I do now? Enrol and Register for an IT account with the University (from early September). You need to do this before you can log in to our website to purchase tickets. When you login in the SU site for first time, don't forget to self-define. Look out for your Welcome Guide and What's On Guide - on their way to you soon in the post, or available to read online soon. 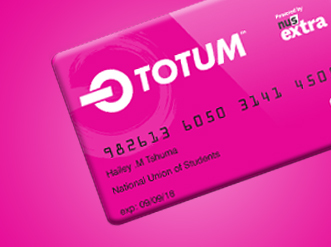 Buy your NUS Totum to start making savings from day one and get the most out of student life! Our official Welcome Week entertainments programme is currently being finalised and you can rest assured that we’ll be catering to a wide range of tastes. All acts and events will be announced as soon as they're confirmed, so make sure you keep checking back for more info over the coming weeks! Individual tickets and a limited number of Freshers Passes (£65 - covers all paid-entry SU-run nighttime events from 24th September to 1st October inclusive) and Annual Passes (£130 - covers all paid-entry SU-run nighttime events from 24th September to the end of the academic year) will go on sale at Noon on 10th September. 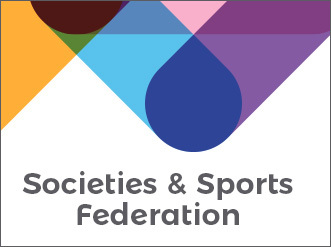 Check out the incredible range of Sports Clubs and Societies on offer at the Students' Union - with over 250 societies and 65 sports clubs, there is bound to be one for you! Order your Halls Hoody when you know where you'll be living - you'll get an email from Warwick Accommodation sometime in September. Buy a Welcome Week 2018 souvenir t-shirt for £5 from the Piazza on the day you arrive - it gets you into that night's Welcome Party before 11pm. Limited numbers are available, so make sure you snap one up! Get excited! You're in for the best years of your life! What’s happening over Welcome Week? Welcome Week is the busiest and most exciting time of year here at Warwick. Alongside your departmental introductions and settling-in sessions, make sure you don't miss out on anything we have going on at the Students' Union! Visit your Union every day to see what's on - we'll have a range of stalls to pick up those Freshers essentials (goody bags, posters and a plant for your room!) as well as fairs for Societies, Sports Clubs and other opportunities such as Democracy & Volunteering. We've put together answers to some frequently asked questions (including information for Under-18s) here. Our Entertainments programme caters to a wide range of tastes - we heartily recommend you try to make it out every night over Welcome Week to try a bit of everything! Tickets for evening events won't be going on sale until 10th September (so everyone has a chance to enrol), but you can check out the event list on the right to get a sneak peek of the lineup, and take a look at the video below for a taste of what's in store! A limited number of Freshers Passes and Annual Passes will be also go on sale on 10th September, covering all the events during Welcome Week and beyond if you haven't decided which ones you want to attend yet. Fresh Urban beats and delicious cocktails. Issa vibe!